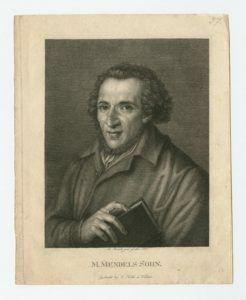 The philosopher Moses Mendelssohn paved the way for Jewish entry into the German mainstream by promoting secular education and advocating for a pluralistic society in which Jews could enjoy civil rights while maintaining their traditions and faith. In the new volume Moses Mendelssohn: Enlightenment, Religion, Politics, Nationalism (University of Maryland Press, 2015) leading scholars explore the questions that shaped Mendelssohn’s life and occupied his mind: How compatible are faith and reason, religious loyalty and civic loyalty, religious commitment and cosmopolitanism? 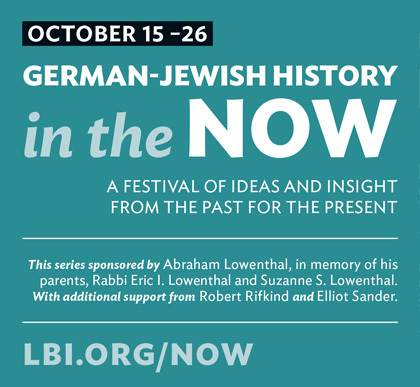 The book’s co-editor, Michah Gottlieb (NYU) will introduce a panel discussion on how these same tensions resonate in today’s world. With moderator Abraham Socher (Oberlin/Editor, Jewish Review of Books) and panelist David Sorkin (Yale). Michah Gottlieb is Associate Professor of Jewish Thought & Philosophy at New York University. He earned his Ph.D. in Philosophy from Indiana University (2003) and has published widely on the theological and political Moses Mendelssohn and on Jewish approaches to the faith-reason debate, analyzing Jewish thinkers from the twelfth to the twentieth centuries. Most recently, he has been writing on the role of the Bible in German Judaism. Abraham Socher is a professor at Oberlin College in the Department of Religion and directs the Program in Jewish Studies. He is the author of The Radical Enlightenment of Solomon Maimon: Judaism, Philosophy, Heresy (2006), and has published essays and reviews on topics in Jewish intellectual history, literary criticism and baseball. In 2010 he founded the Jewish Review of Books, which he continues to edit. David J. Sorkin is Lucy G. Moses Professor of Modern Jewish at Yale University. His work is situated at the intersection of Jewish history and European history since the 16th century. He first examined the formation of Jewish culture in the German states in The Transformation of German Jewry, 1780-1840 (1987). His Moses Mendelssohn and the Religious Enlightenment (1996) emphasizes the neglected Hebrew works. In The Religious Enlightenment: Protestants, Jews and Catholics from London to Vienna (2008), he crossed confessional boundaries and national borders to reconceive the relationship of the Enlightenment to religion. He is currently writing a history of Jewish emancipation in Europe.